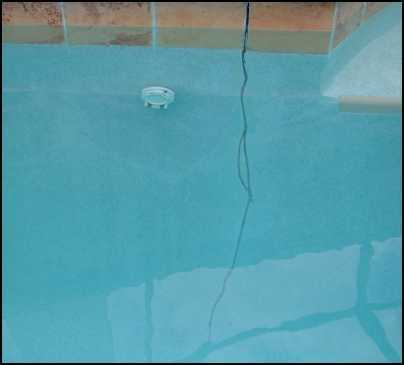 Though amply reinforced with steel rebar, pool shells still tend to flex (steel flexes while concrete does very little--it rather cracks when "bent" a bit too far). Pool shells particularly like to flex at their transition (between shallow and deep end) areas. This appears to be a pool's fulcrum point--somewhat like the center-block supporting a see-saw. 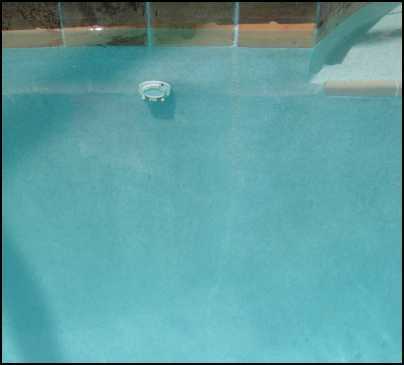 The end result is a permanently sealed and flexible repair that blends in with the original pool finish.